Trust the Pros: Proudly Serving the Greater Kansas City Metro Area for 27 Years! Based in Independence, MO, We Service Blue Springs,MO, Lee's Summit, MO and Overland Park, KS! Carpet Cleaning & Pet Odor Removal Special! Paying Cash? Receive a 5% Discount! When Was the Last Time You Cleaned Your Carpet? Your carpet takes in dirt, debris and odors every day. As the years pass, those things can build up and soak into your carpet fibers, even with regular vacuuming. To truly strip the years of wear and tear off of your carpet, you need to get it professionally cleaned. 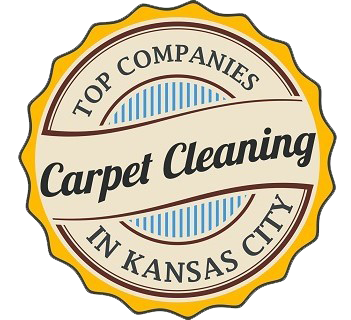 R&L Carpet Upholstery Cleaning & Restoration offers carpet cleaning services in Independence, MO, Blue Springs, MO & the Greater Kansas City Area. We'll make your carpet look like new in no time. To learn more about our carpet cleaning services, contact us today. We'll come to your home in Independence, Lee's Summit, Blue Springs, MO, Overland Park, KS, & the Greater Kansas City Area at your convenience. We have over 35 years of carpet cleaning and repair experience. We know the right carpet cleaner to use with each kind of stain, and we can remove your pet odors without replacing your carpet. We value your time. We offer free estimates over the phone, and we always get our work done quickly. Visit the Testimonials page to read what other clients have said about our carpet cleaning services. You'll see why they trust our company with their carpet cleaning needs. Call 816-836-1767 now to take advantage of our custom services. We'll analyze your stains and damage, then choose the right carpet cleaner for you. Rick was a delight to talk to & did a wonderful job making our couch and mattress look & smell like new! I would highly recommend him if you need your upholstery cleaned quickly & correct THE FIRST TIME! Thank you Rick! Rick was able to schedule our carpet stretching quickly. He was professional, explained the process, and did a great job. What he quoted me on the phone was what we owed him in the end. His prices are very reasonable. Would recommend. Rick was friendly and very knowledgeable. He did a wonderful job on my carpet repairs and cleaning. He also got the pet odors out. My carpets look beautiful again! He was easy to get a hold of. We had some snow the night before and he made it on time even with our slick roads. Best prices too! I plan on having him do some other repairs in the future on my kitchen tiles. Rick did a great job on our carpets and furniture. Organized, efficient with his time. Reasonably priced. I recommend him. Very reasonable, punctual, and detailed! Rick did an awesome job! Quick response, great price, great work. We've been using Rick for 15 years. He's helped us as our dogs have aged from puppies to seniors, and all the messes in between. Rick is a very nice guy and did a WONDERFUL job today at my work cleaning our chairs and being very detailed.